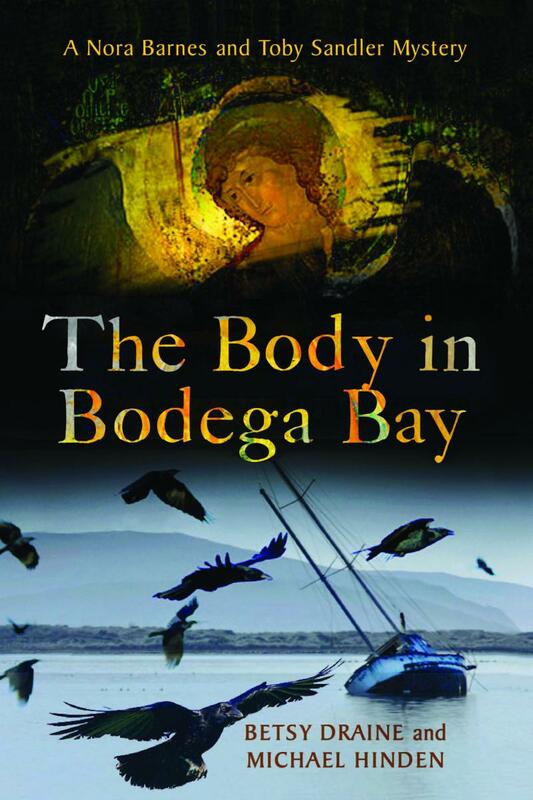 "The Body in Bodega Bay"
Old and more recent events in local history are strands in a brand new mystery novel based on the Sonoma coast, as a pair of frequent visitors from the Midwest set their art-themed novel there. Having two authors share a single, first-person narrative voice can be a tricky balance. Michael Hinden says he and his wife, Besty Draine, manage it by trading off regularly, and through a "non-aggression pact" regarding each other's editorial choices. History cites the Galapagos Islands as a key inspiration for Charles Darwin’s theory of evolution. But the remote island group west of Ecuador has other, more provocative and mysterious chapters in its own history. One of the strangest, from the 1930s, is revealed in the new documentary film, The Galapagos Affair: Satan Came to Eden. 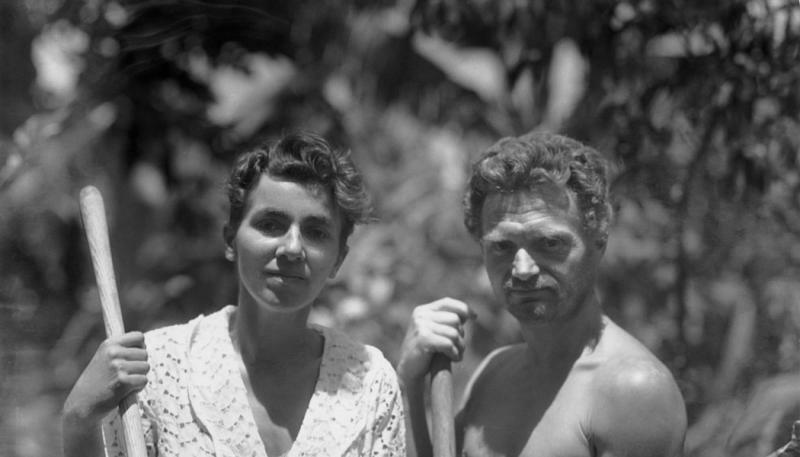 The Galapagos Affair opens tonight in at the Rialto Cinema Sebastopol, with the filmmakers present for an after-screening Q & A session. You can see the trailer for the film below. 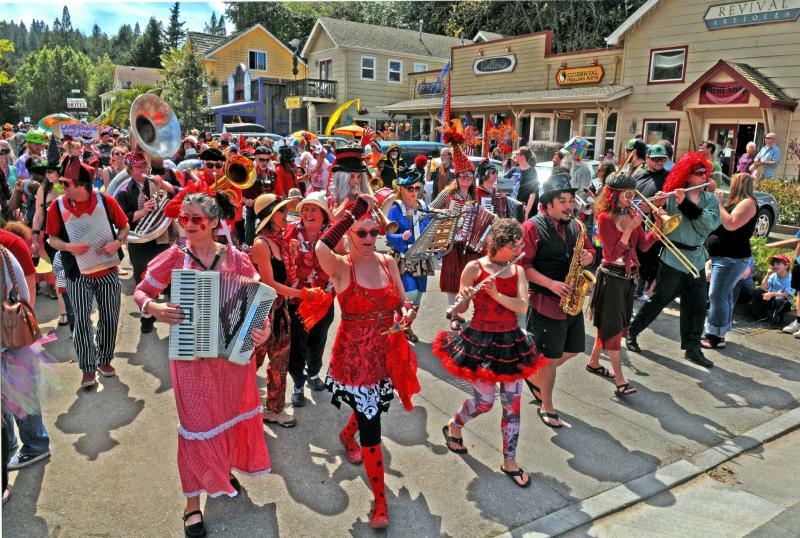 It may be April Fool’s Day today, but the full celebration of the occasion happens on Saturday, when Occidental holds its 10th annual Fool’s Parade. It’s a long-standing tradition, and one that has an appropriately colorful history. So, here, with a recap of that foolish past, is KRCB’s Bruce Robinson. 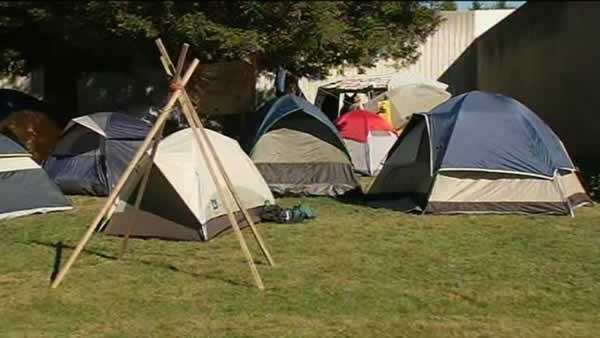 The most visible and enduring images of the Occupy protests were the communities of tents that sprang up in public spaces across the county, including the lawn outside Santa Rosa’s City Hall. Whether by design or out of necessity, those encampments were part of a much longer history of outdoor protests in America, as we’re about to hear. University of Colorado history professor Phoebe Young will be speaking at Sonoma State Friday at noon on “The Occupy Movement, Outdoor Politics and the History of American Camping.” More details here. You may be surprised to know that back in 1864, Sonoma County was the only county in California that did not support Abraham Lincoln in the presidential election. Santa Rosa was solidly behind the Confederacy, while Petaluma and Healdsburg were deeply divided. Some local history of that era is on display now at the Healdsburg Museum. 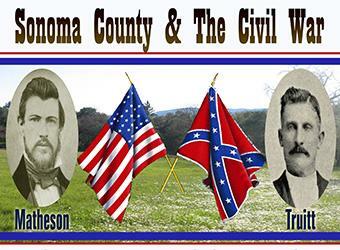 The exhibit, “Sonoma County and the Civil War,” currently on display at the Healdsburg Museum through May 4. The museum is open Wednesday through Sunday, from 11-4, and admission is free. The Sonoma County Museum offers exhibits of both fine art and local history, and in the latter category, they have just announced an unusual new addition to their permanent collection. Bruce Robinson gets us a bit of a preview. 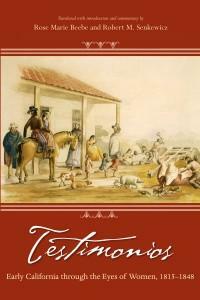 Between the missions and the ranchos, northern California was a male-dominated realm in the 1870s. But it is from the accounts of a handful of women there that we get an inside picture of what day-to-day life then was really like. We have these detailed accounts of life in early northern California thanks to the vision of a single man, says Santa Clara University History professor Robert Senkewicz. Fortunately, his vision was unusually inclusive for its time. 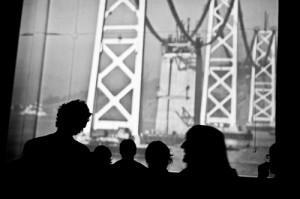 February is Black History Month, and one way that is being observed locally is with a mini-film festival, being held on three consecutive Thursday evenings at the Arlene Francis Center in Santa Rosa. The second of those three films is being shown tonight, and we get further details on today’s Exchange segment. 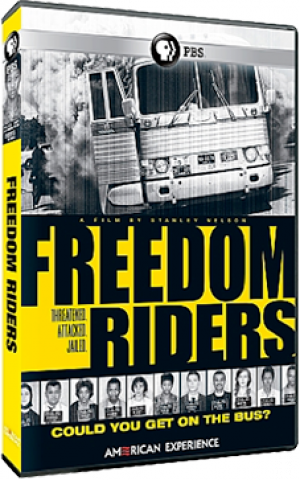 The showing of the film “Freedom Riders” is at 7 o’clock this evening, with a discussion to follow. Admission is just $5. For details on the entire film series, see the flyer posted below. 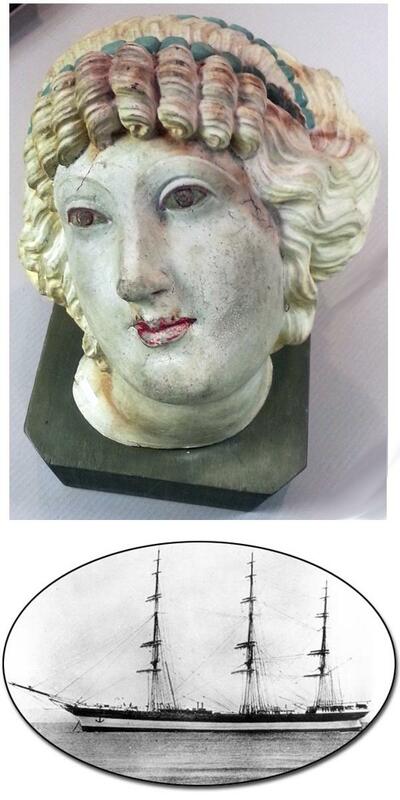 History is dotted with notorious characters, and often know their names and not much more about them. A six week extension class beginning tomorrow night at Santa Rosa Junior College aims to fill that gap, and we get a short preview from the instructor. 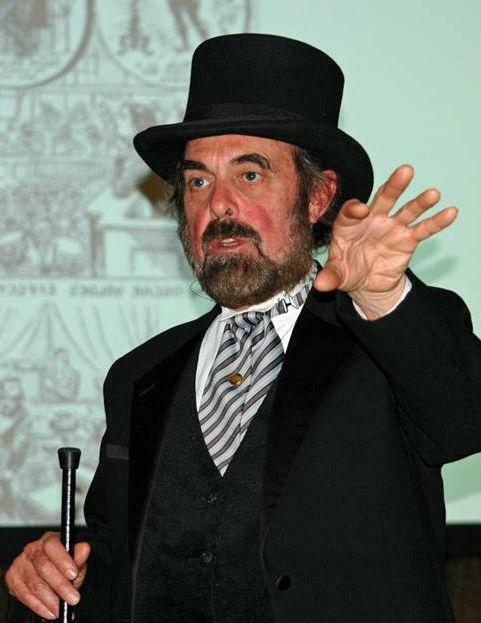 You can register online for Bruce Elliott's "Shady Characters in Western History" class here. 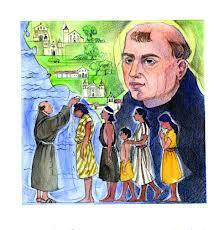 Father Junipero Serra was a man of curious contradictions, in the view of biographer Greg Orfala , a Spanish priest who saw, and served the Crown by shaping the indigenous culture into the missions that dot California, and even found merit in Native American spirituality. Though most Californians who recognize the name of Father Serra hold a rosily favorable impression of the priest, there are some who see him as a exemplar of Spanish imperialism in the New World. Serra biographer Gregory Orfalea says neither extreme is an accurate perception of the real man. Beverley Dorsey McChesney, Santa Rosa. 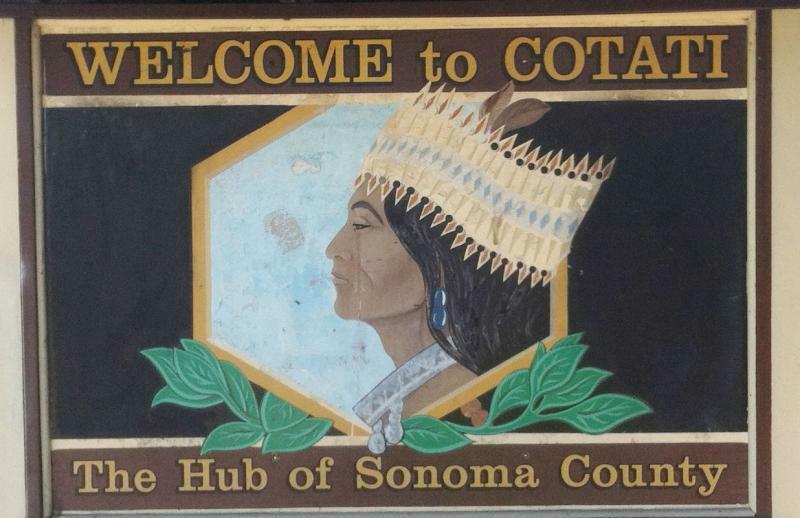 Were you born and raised Sonoma County? 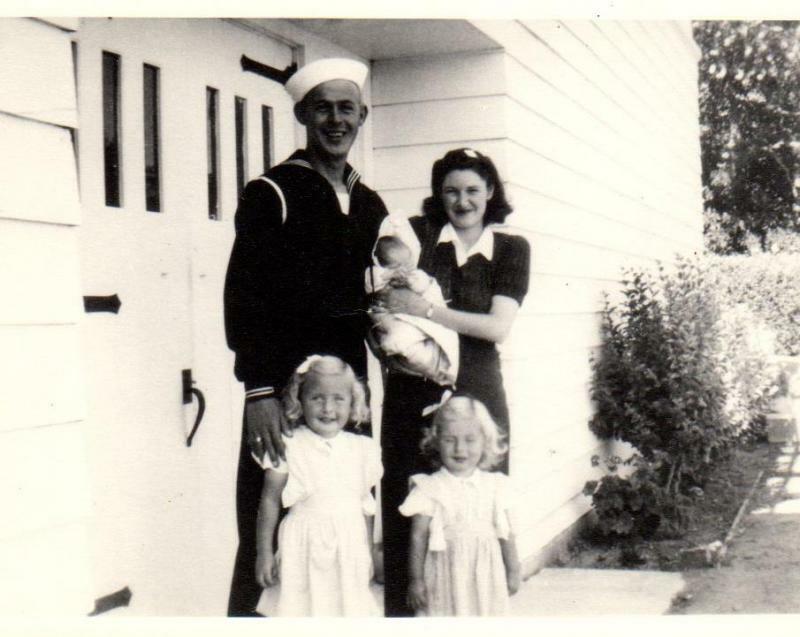 A new book project, called Sonoma County Baby, wants your story. The book will gather stories of people locally born and raised, partly as a celebration of region’s history, partly as a celebration of a new hospital opening soon in Santa Rosa. 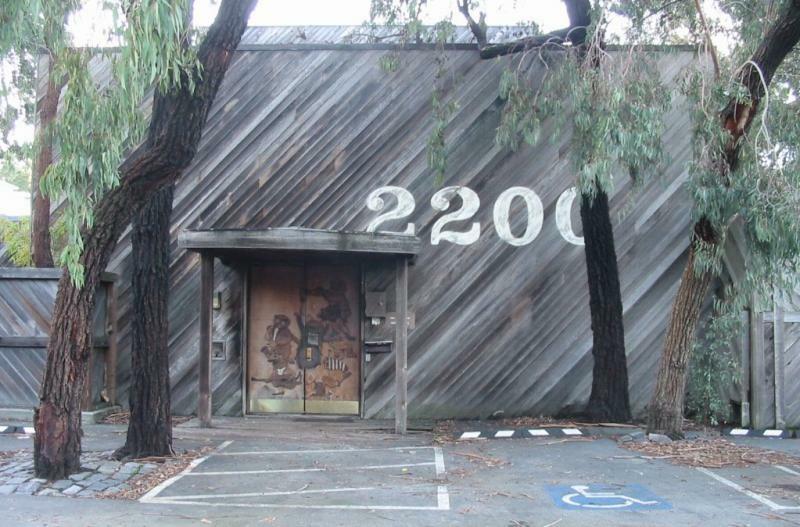 From 1972 into the new century, The Record Plant in Sausalito saw dozens of memorable songs and albums created in its studios. Today, a last-minute fund-raising effort is underway to preserve the space for further music-making. In early 1968, thousands of US troops were pinned down and bombarded for 11 weeks inside a base and airstrip in the far northwest corner of South Viet Nam. 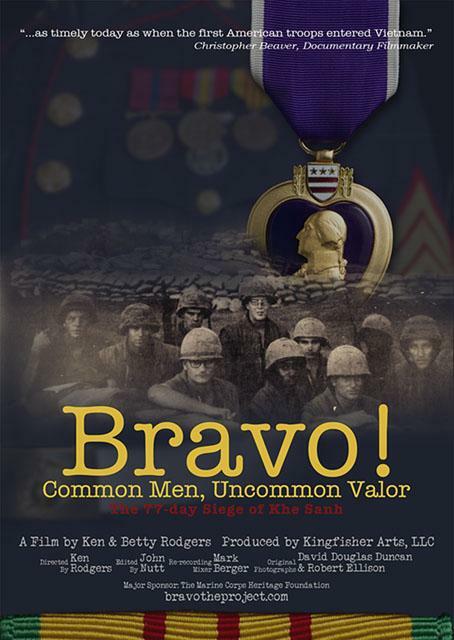 A new documentary offers first-hand accounts of that campaign from Marines who survived it. The location of the base at Khe Sanh, not far from the border with Laos, was isolated largely unprotected, recalls Ken Rodgers, with hurried air transports the only connection to the outside during the siege. 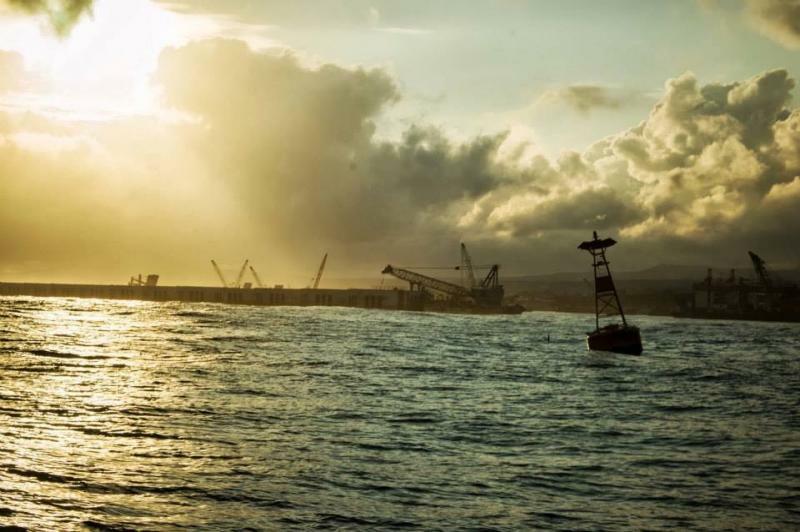 One of Santa Rosa’s Sister Cities is actually an island, where construction of a big new naval base has drawn persistent protests. While the protests outside the Jeju Island naval base persist, filmmaker Regis Tremblay holds scant hope they will change anything, especially as the South Korean government cracks down on the dissenters. 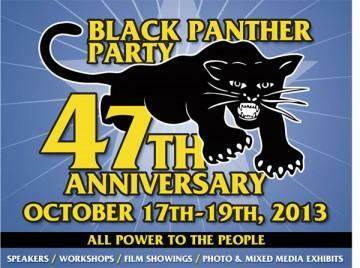 The history of the Black Panther Party will be on full display in Santa Rosa this week, as the Oakland-based activist group holds its yearly reunion in Sonoma County for the first time. The Anniversary gathering of the Black Panthers is much more than a social event for its members, explains one-time Deputy Minister of Information Elbert “Big Man” Howard. 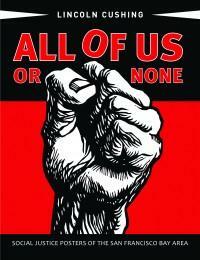 A primary focus is educational, sharing their history with those who may not know much about it. 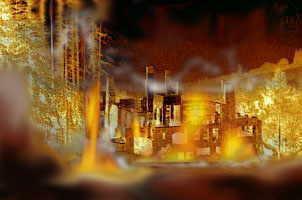 Why Did Jack London's Wolf House Burn? What started the fire that ruined Jack London’s Wolf House in Glen Ellen almost exactly a century ago? 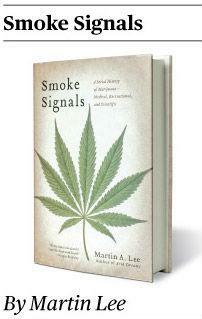 A local London scholar thinks he has traced the answer, and is about to make his theory public. Native people dwelt along the Laguna de Santa Rosa for thousands of years, but details about how they lived--and how long they’ve been there-- have only gradually emerged. The brand of Ripley’s Believe It Or Not has long outlived its creator, and largely eclipsed the one-time celebrity of the man himself. 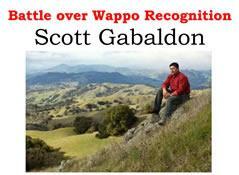 A new biography revives the details of his improbable life. It’s somewhat surprising that the personal history of Robert Ripley has faded from public awareness, agrees biographer Neal Thompson. But without heirs or family to perpetuate his name, it’s also understandable. The Guerneville area has been home to some colorful characters, huge demographic and economic changes, and for the past 50-plus years, a hometown historian who likes nothing better than sharing the stories that he’s compiled. Having lived near Guerneville since the 1960s, local historian John Schubert has also been a first-hand witness to a good deal of change. He says the region’s housing stock has been a good yardstick for tracking the evolution of the local population and business community. A few months after Rohnert Park observed its 50th anniversary, the City of Cotati is about to do the same. But the smaller city actually has a much longer and more intriguing history. It’s no accident that people have lived in what is now Cotati for centuries, says Pru Draper, the city’s unofficial historian. It’s well positioned for human habitation, then and now. Dr. S.I. 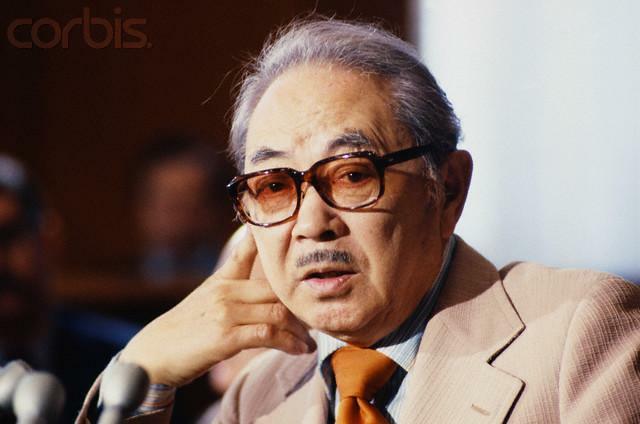 Hayakawa was a colorful and polarizing figure in California politics in the 1960s and '70s. But an award-winning biography of the noted semanticist traces an unexpectedly complex history before that notoriety enveloped him. Hayakawa’s academic credentials were established early on, says his biographer, Gerland Haslam. 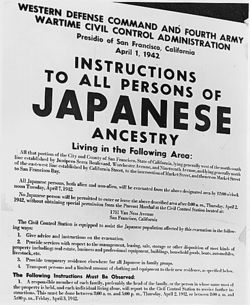 But in the 1940s and ‘50s, Hayakawa’s Japanese-American status stood in the way of his career advancement. For much of her life, the White Rabbit has been an iconic image for Grace Slick. 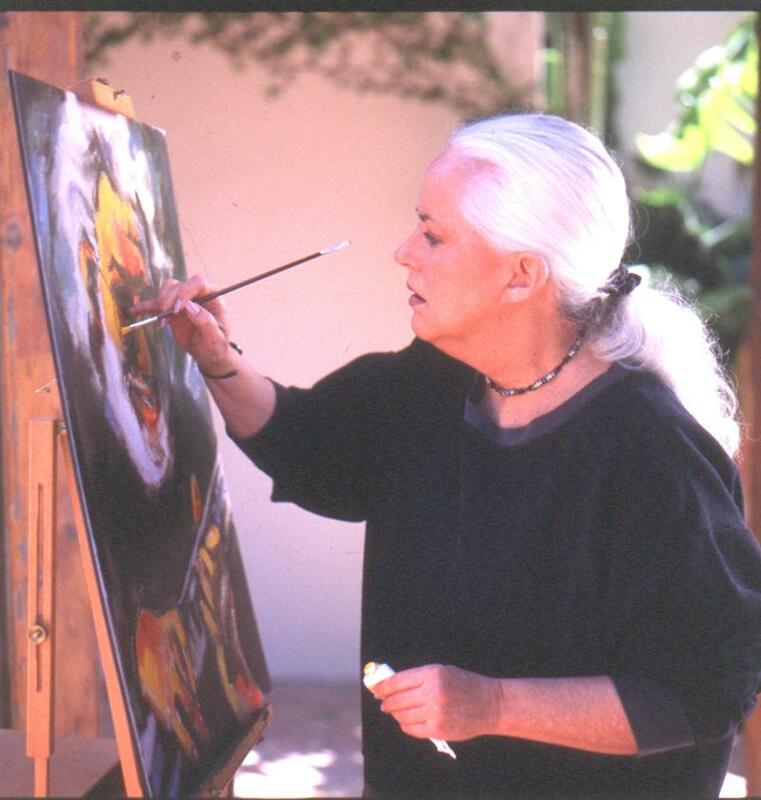 Once the central metaphor for her huge hit with the Jefferson Airplane, the rabbit now serves as a signature element in her prolific paintings. The biggest thing standing between the small Wappo tribe of North Bay Indians and their goal of regaining official recognition from the federal government could be a potential casino they’re not sure they would ever build. They’re back! Following a wildly successful debut visit last spring, a pair of tall-masted wooden sailing ships will return this afternoon to Bodega Bay, one year to the day after their local debut. Ticket information, reservations and a schedule of activities are all available from the Tall Ships website. 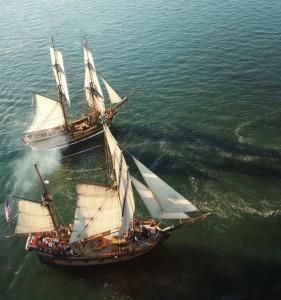 The two vessels will visit Bodega Bay April 2-8, before sailing on to Eureka. During the 1940s, ’50s and ’60s, Southern-born, Chicago-raised and New York-made Sister Rosetta Tharpe (rt) introduced the spiritual passion of her gospel music into the secular world of popular rock ‘n roll, inspiring the male icons of the genre. This flamboyant African-American gospel superstar, with her spectacular virtuosity on the newly electrified guitar, was a natural-born performer and a rebel—one of the most important singer-musicians of the 20th century. The thousands of acres of open space and shoreline now protected and accessible to the public might not be there but for the efforts of a handful of visionary conservationists just few generations ago. 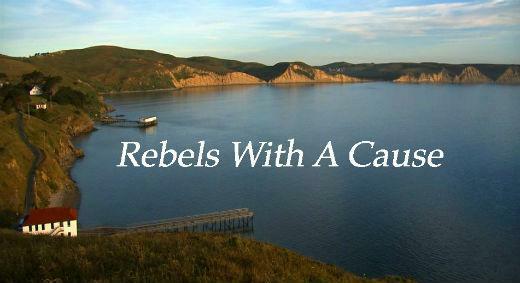 A new documentary by a couple of North Bay film-makers tells their story. Bruce Robinson has theirs. See below for upcoming screening dates, and a map showing the footprint of the proposed Marincello development.